Nova welcomes long-time employee, Jonathan Franks as newest addition to the Freightliner Sales team. Jonathan will be focused on selling Freightliner Business Class trucks and will be covering Westville, Truro and surrounding areas. Jonathan started with Nova at 16 as Shop Hand at the Dartmouth location, quickly moving up to a Parts Specialist. After gaining valuable work experience and training, Jonathan decided this was an industry he wanted to build a career in so he went back to school for his Heavy-Duty Equipment/ Truck & Transport Repair certification. He recently stepped down as Westville Shop Foreman to pursue his next goal in Sales, which seemed like natural fit since Jonathan has already explored every other department within the company. 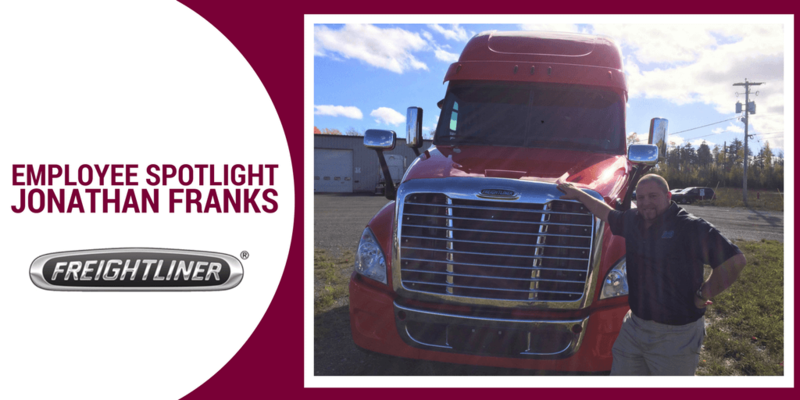 Although predominately a Western Star fan, he’s excited about all the new changes happening with Freightliner such as the new Cascadia, DD8 and DD5 launched into M2’s. Jonathan is looking to forward to finding opportunities to grow the market in his territory as well as building upon his current customer relationships from over the years. As a certified Red Seal Technician, Jonathan knows his trucks and will work with customers to spec the right truck to get the job done right. When not at the dealership, Jonathan enjoys traveling, boating, bass fishing, and also enjoys working on old vehicles.